USA (2003): Wine Enthusiast Very Good Recommended (85-89/100) Opening sniffs detect soft scents of candy cane, mint and vegetation; 7 additional minutes of air contact stimulate dessert-like aromas of pear, nectarine & apple crisps. Palate entry is chocolaty and dairy-like, almost creamy:Mid-palate, creamy flavors of dark caramel, toffee, honey and brown sugar. Finish is candied, sweet & long. 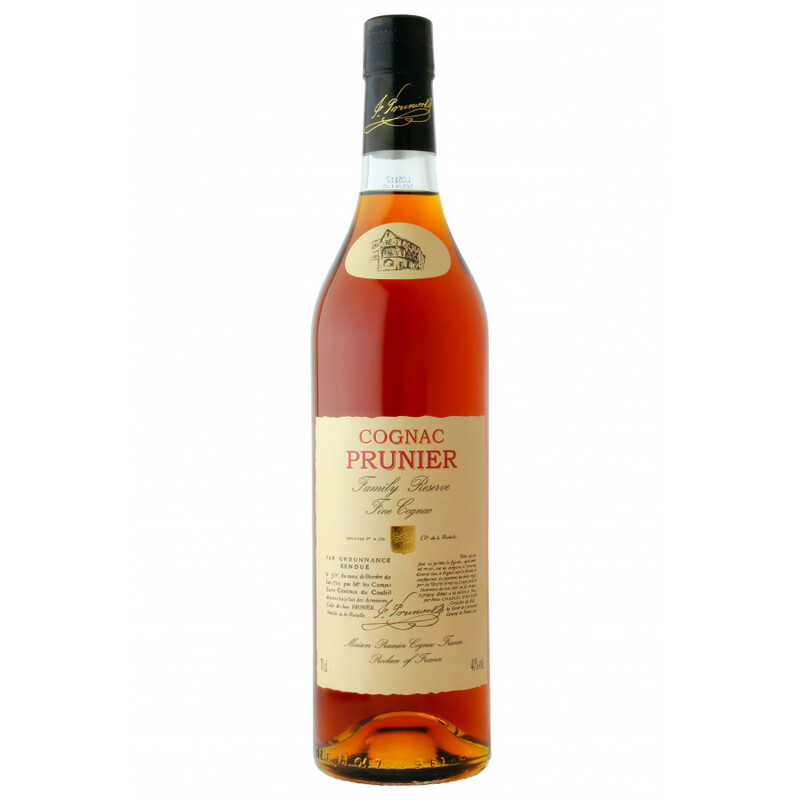 Prunier Reserve de la Famille Cognac is, as the name suggests, a Family Reserve. The cognac has been on the market for the last 20 years, and is a blend that consists of eaux-de-vie from Grande Champagne, Petite Champagne, and Fins Bois. The oldest cognacs used within the blend date back to 1938.